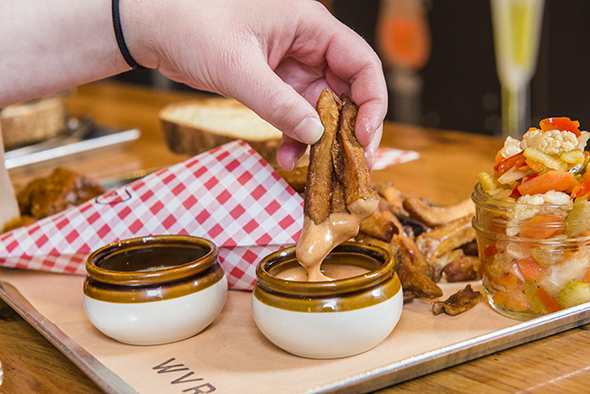 Wvrst hasn't changed too much since Aldo Lanzillotta opened it back in 2011 - sausages, craft beer and fries are still its raison d'etre. And this second-floor space on King West does all three with flair. 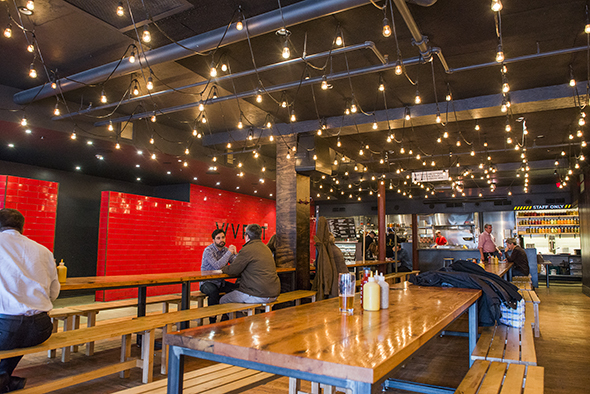 While Wvrst is based on a Munich-style beerhall, the slick room, with its hanging Edison bulbs and red subway-tiled walls isn't exactly Bavarian. 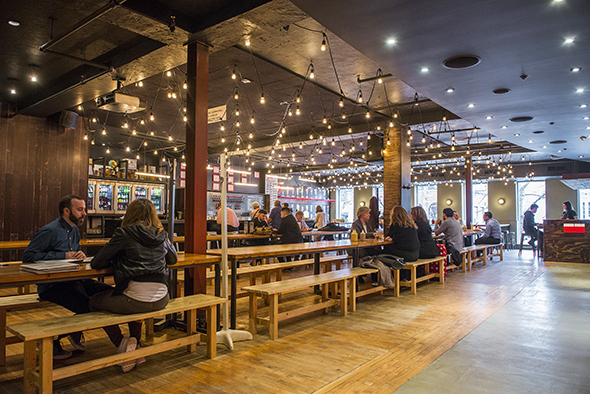 Though its communal tables and free-flowing beer lines are, just don't expect to snack on giant pretzels here. 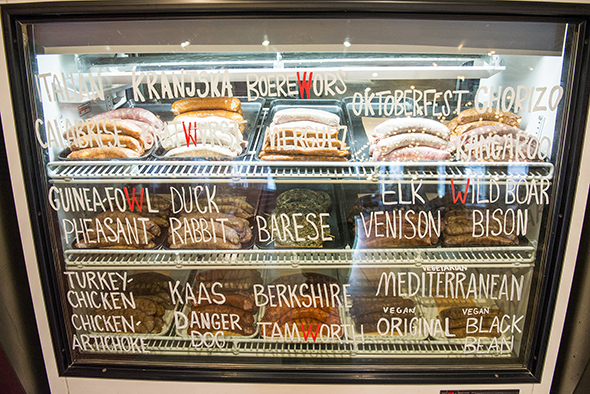 Instead, you can order from Wvrst's long list of artisanal sausages, which includes varieties such as kangaroo, wild boar, bratwurst and vegan black bean. Yes, even herbivores can have fun at this sausage fest. As a casual eatery, which usually fills up after work, you always order at the counter, but servers bring your meals directly to you. 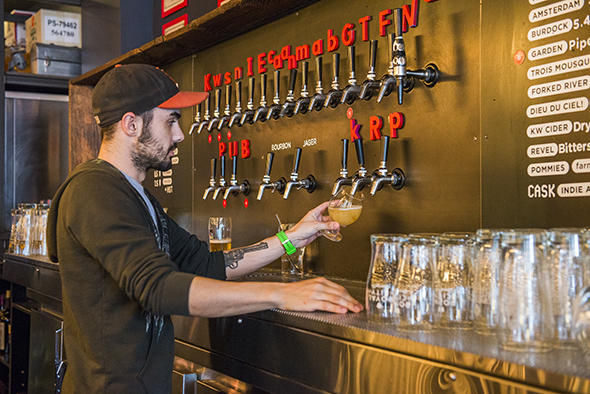 While you're waiting you can sip on craft beer from various local breweries. The selection here is vast and the knowledgeable bartenders will help you pick something tasty if you're stuck. 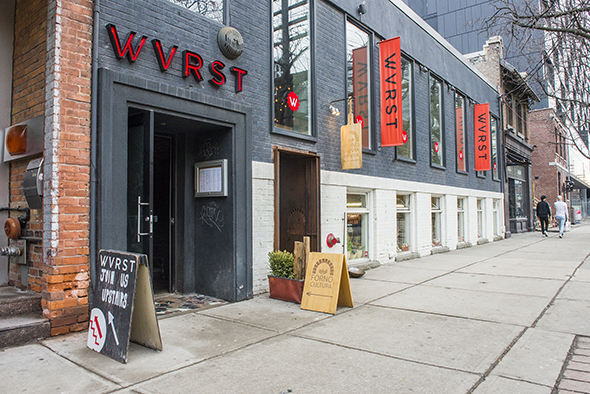 For non-beer drinkers, Wvrst stocks an array of cider, both on tap and in cans and bottles. 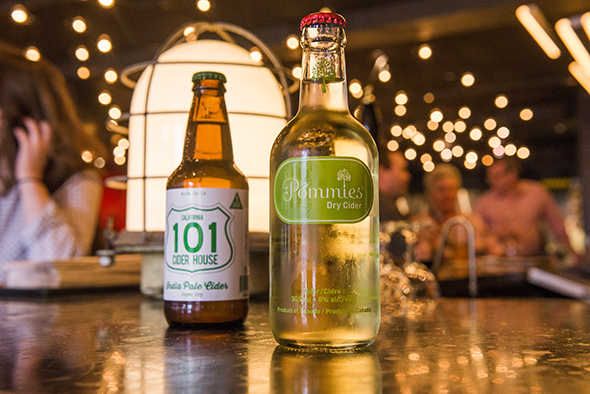 The bottle of heirloom apple and pineapple quince cider ($22) from Troy, a company out of California, sounds particularly intriguing. I try a chorizo sausage done currywurst style ($8), which means it's chopped up and slathered in tomato curry sauce. 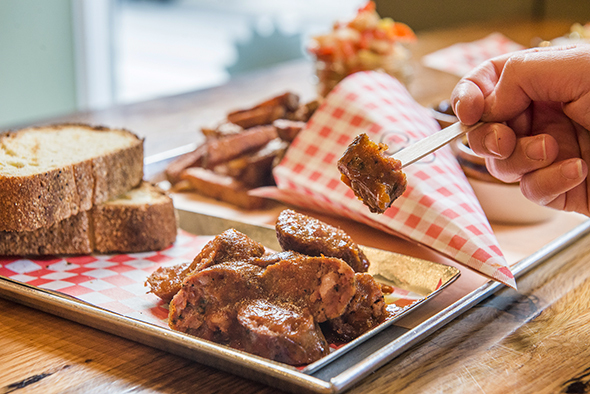 It comes with a side of bread from Sud Forno . Naturally, I also get duck fat fries, because why wouldn't I indulge? For balance, I dunk them in spicy Wvrst sauce and cool chive and roasted garlic mayo. To cut through the richness, I eat everything with a side of riesling barrel fermented sauerkraut and pickles, both of which are delicious, but I'm a sucker for picked foods. Giardiniera, which arrives in a tiny mason jar, is also refreshing a refreshing addition to the meal. 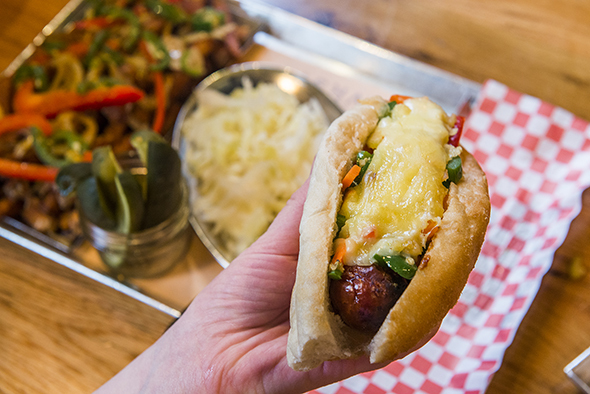 For sharing, there's a coiled barese sausage ($24) made with Tamshire pork, padaono cheese, parsley and chili. It comes with crusty bread and peppers. 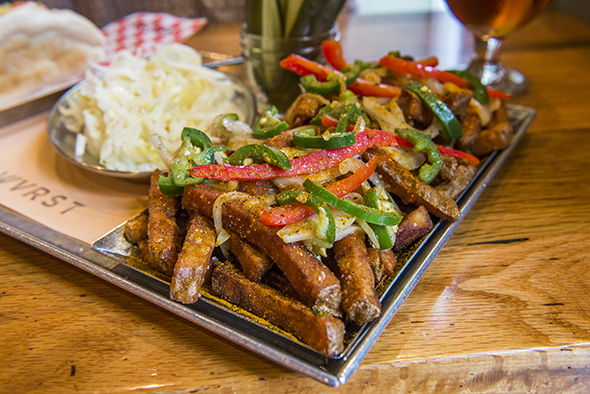 You should probably also share dirty fries ($6/$8.50), a dish that marries fried potatoes with onions, peppers jalapenos and Wvrst sauce. 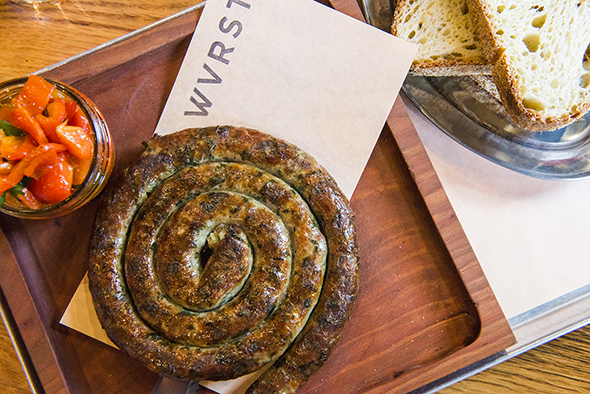 Although Wvrst doesn't make most of its sausages on site, general manager Bram Zimmerman tells me each one is based on in-house recipes. And those recipes keep the King West crowd coming back for more.